VIA technologies has announced it is to release a notebook into this already rather crowded corner of the PC market. Initially selling its product only in China, through PC vendor Tsinghua TongFang Co Ltd, the Taiwan-based company has titled its notebook, the S1 imini. A quick look at the features, and the imini could well hold its own in the notebook marketplace. 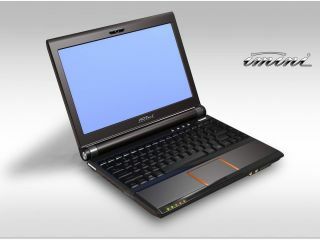 The imini houses a 1.6GHz VIA C7-M processor combined with the VIA VX700 chipset, while on the outside it boasts a 10.2in screen. Other features include 1GB DDR2 667 RAM and a not-too shabby 80GB hard drive. Connectivity is good as well, with 3x USB slots, Ethernet and a 4-in-1 card reader slot. The operating systems available for the computer are Microsoft Windows Vista Home Basic and a Linux dual interface. The S1 imini is available in five colours – white, blue, pink, gold or black – and can be seen in action on YouTube. There's no word of a UK release as of yet, but price-wise you are looking at RMB 3998, which equates to around £325.